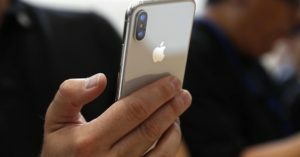 It is indeed funny that despite numerous leaks on the features of the Apple’s new flagship phone, iPhone, the company is still blowing people off their minds after they actually launched this handset in Tuesday’s biggest tech event ever. By then people already had a vague idea of how the iPhone X would look with an all-screen look which has got an OLED display. People even knew that the phone would be made of polished steel and smooth glass and that it would pack 6-core A11 processor, more storage space than ever before and even more RAM than what you have ever seen along with the best Augmented reality features. Despite knowing all this, when people actually saw all these awesome features clubbed into one single phone, they couldn’t believe their eyes. It was in the Steve Jobs Theater that Apple introduced the iPhone X and it seemed to be as impressive as it would have been if it would have been a surprise. iPhone X is till now the most stunning phone that has been ever made by Apple and if you don’t have an inkling on the features that are stuffed in this phone, read on. Retina display: This is probably the first iPhone being launched from Apple which has got an OLED display and you can’t believe it when you see the super retina display. Diagonally, the measurement of this phone is 5.8 inches and the pixel density of this smartphone is 458 ppi with a color ratio of 1,000,000:1. The color of the screen automatically changes according to the color temperature which is based on any given lighting around the phone. Goodbye home button: People always believed that there will definitely arrive a smartphone which didn’t have the ‘Home’ button but Apple was the first one to replace the functionality of this button with different gestures. For instance, if you swipe from the bottom of the screen towards up, this will lead to the home screen. Since it altogether ditched this button, it could ultimately produce a smartphone which has got an entire screen front. This is indeed a positive change by Apple. Face ID: Face ID is one of the most improved face recognition feature which is possible with the True Depth camera system of Apple. There are 8 cameras and sensors which work together to help the phone in recognizing the face of the owner. Hey, what if you wear glasses? Well, the system will still work perfectly and even when you grow beard or change your hairstyle, the phone will still recognize your face. Interesting animojis: With the True Depth system of the camera, there is another new feature called Animoji. There are several interesting and funny animojis you can start off with and as you send them to your friends, they can mirror the same movements and expressions as yours. Dual lens camera: Well, this iPhone X has got a dual-lens camera which is placed at the back portion of the phone and this time it comes in a vertical shape. The camera has got a feature called optical image stabilization, thereby making it the 2nd smartphone to feature dual OIS. They have got 12 MP sensors and they also have several enhancements to enhance reproduction of color and to reduce noise in pictures. Battery life: In spite of the fact that the iPhone has got smaller housing, they’ve managed to boost the life of the battery by 2 hours. This is being said while comparing it to iPhone 7 and iPhone 7 Plus. Therefore, if you have been saving money for something great and big, grab your iPhone X as soon as you find them available in the markets.